Hop on over to Amazon where you can score the Amazon Echo Dot 3rd Generation for just $24 shipped (Retail $49.99) – choose from Charcoal, Heather Gray or Sandstone. 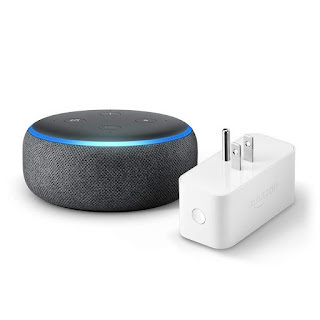 Even better, you can score the Amazon Echo Dot 3rd Generation AND Amazon Smart Plug for just $29 shipped (Retail $74.98). This Smart Plug does not require a smart home hub. The Echo connects to the Alexa Voice Service to play music, ask questions, make calls, control the smart home, provide information, news, weather and more.